Parth Samthaan And Niti Taylor Back Together Again! – Watch The First Glimpse Of Kaisi Yeh Yaariaan Stars This Valentine! MTV’s Kaisi Yeh Yaariaan wasn’t just a show. It was a rage! A rage that continued to live among the audience even after the second season of the show went off air. The MaNan love story that touched the viewers’ hearts with all the fireflies glowing and stars shining was never enough for the viewers. Especially the end in which Manik and Nandini leave India due to Manik’s treatment, seemed all the more incomplete. Since then, the fans of the show have been asking for a season 3 of the show! Right from trending hashtags to spamming the channel, KYY fans did it all to bring back their favourites once again! And yes! They succeeded too. As the show is going to come back on Viacom 18’s website and app, VOOT! 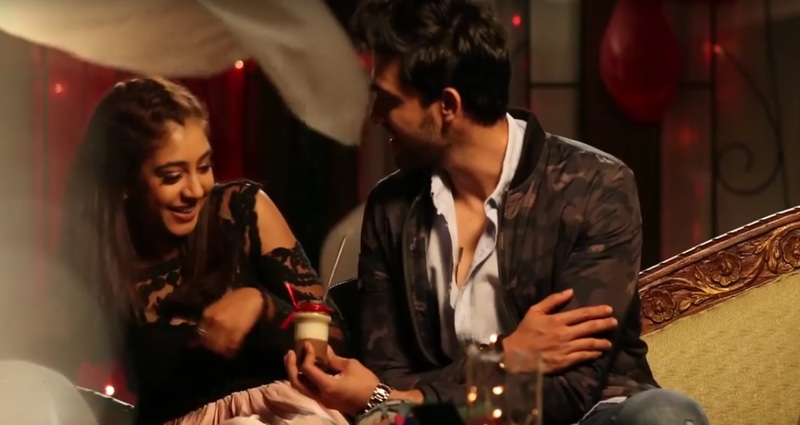 On the occasion of the Valentine’s Day, the cast has started shooting for the new season and the leads, Parth and Niti, too came up together after a long time in an exclusive Voot video to announce their return as Manik malhotra and Nandini Murthy! We are sure you are as excited as we are on seeing them back together! If you didn’t see them yet, take a look at the video below! Rajan Shahi : All The Top-Rated Shows Are Working Because Of The Ongoing Chemistry Of The Lead!